Faraway Arch is perched on a mesa top to the west of Navajo Mountain, surrounded on all sides by sheer cliffs. The only approach would be by helicopter or by scaling the cliffs. 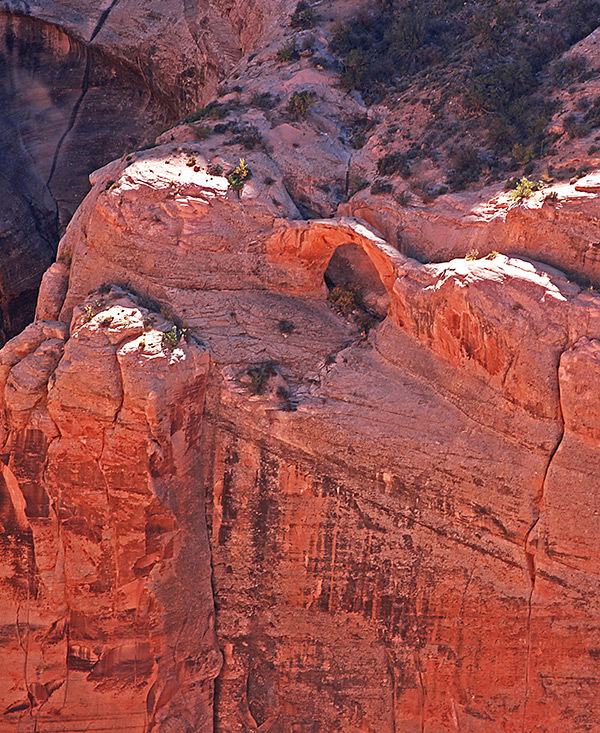 We learned of this arch from video taken from a helicopter by a Phoenix TV station in the early 1990s. 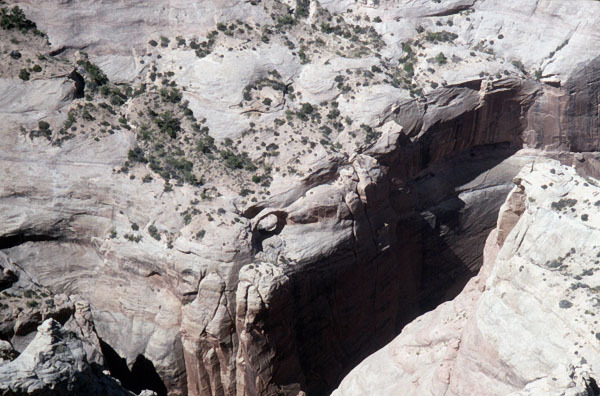 As reported in Lake Powell Magazine, in 2005 Bob Schwartz and Dave Tate landed in a helicopter just above the arch and got very close to it but did not say they got inside or on top and they did not measure it. The aerial photo above was taken from a small plane by David Brandt-Erichsen. The photo below was taken by Stan Wagon from a climb up Redbud Spine just across the canyon.